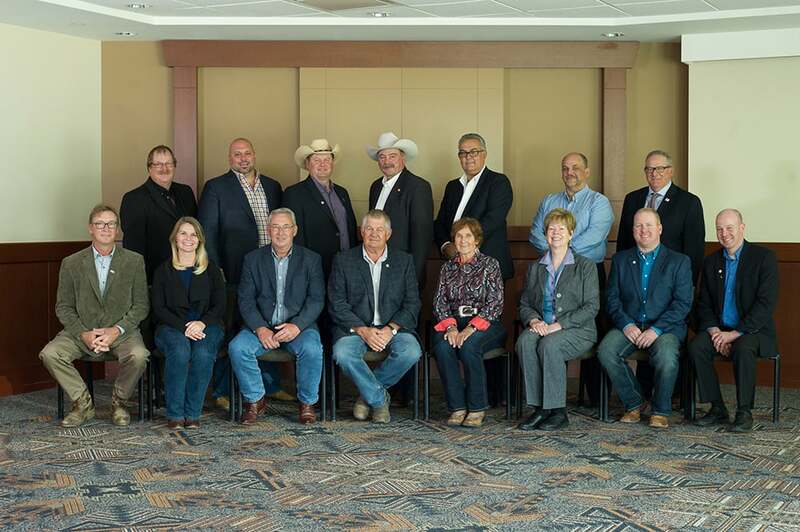 Calgary, AB – The Canadian Beef Cattle Research, Market Development and Promotion Agency (the Agency) is pleased to announce the Board of Directors for 2017-18 following the Annual General Meeting on August 15, 2017 in Calgary. The Annual General Meeting of the Agency was held in conjunction with the Canadian Beef Industry Conference at Stampede Park in Calgary. Returning Chair Linda Allison sees the work the Agency has done in the past year as a solid foundation from which the Agency can strengthen itself and the industry. Melinda German, General Manager of the Agency, is also positive about the future of the Agency’s role in current Canadian Beef Cattle Check-Off discussions happening across Canada, and in the oversight of national check-off dollars. The Agency would like to recognize Jennifer MacDonald of New Brunswick as she leaves the Board of Directors. MacDonald has been a long-standing Canadian beef industry advocate, and dedicated to the board for many years. At the board meeting immediately following the business meeting following the AGM, the Board elected it’s Executive Committee, with all six members returning to the committee for the 2017-18 year. British Columbia beef producer Linda Allison will serve her second term as Chair of the Board and Manitoba’s Heinz Reimer will again join the Executive Committee as the Vice Chair. Lonnie Lake representing Retail and Foodservice will return to serve as Chair of the Finance Committee, and Larry Weatherby of Nova Scotia will chair the Governance Committee. Mike Kennedy was welcomed back to the Executive Committee to chair the Market Development and Promotion Division Committee and Alberta’s Doug Sawyer will chair the Canadian Beef Cattle Check-Off Division Committee. The 2016-17 Annual Report is available online here. The Canadian Beef Check-Off Agency manages and administers the Canadian Beef Cattle Check-Off. By working with core partners, the Agency ensures that check-off dollars are invested into research, market development and promotion programs that deliver measurable value to the Canadian beef industry. The Agency is responsible for communicating the value of the check-off investment, as well as training and education of producers and funding partners, regulatory management, collection and administration of check-off dollars.